I'm looking for a Dell 1700 toner cartridge. Do you deliver to Ireland? If yes, how much does it cost? We can only deliver to countries within the UK which does include Northern Ireland but not the Republic of Ireland. Delivery to Northern Ireland may take 2 - 5 days. Buying a replacement Dell toner cartridge should not leave you with a large dent in your wallet. We've got a lower price guarantee which means that our toner cartridges for the Dell 1700 laser printer are astonishingly cheap. Not only are we very affordable on the price of Dell 1700 toner, we also pride ourselves on on cartridge quality. It's time to leave behind paying high street price tags because we offer you a less costly alternative. Putting up with a poor quality Dell 1700 toner isn't ever beneficial to you or your Dell printer. Subsequently, we offer you a money back guarantee so there isn't a reason to feel dissatisfied. Here at Cartridge Save we aim to cut your costs giving up on build quality. Buy now on Cartridge Save and save money. One of the most popular Dell printers on the market is the Dell 1710. The 1710 model is affordable, durable, intuitive, and it has cost-efficient consumables. The Dell 1700 that we're reviewing here is a lot like its brother: it's solid, reasonably priced, and it does a good job living up to the Dell name. The one big difference between the Dell 1700 and the Dell 1710 is that the 1700 is non-networked. Another issue is that Dell only supports users with Windows computers. If those aspects aren't an issue for you, then the Dell 1700 is a cheaper alternative to the Dell 1710. And while Dell intends the 1700 for home use, it is fast enough and durable enough for light office use. 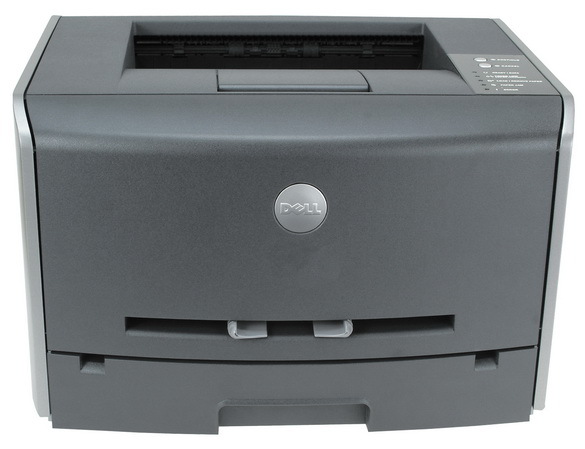 As most recent Dell printers intended for home use are, the Dell 1700 is a black or dark grey brick. The colour fits in well with modern home computer systems, and while the shape and design won't win any style awards, it does receive high marks in terms of practical use. The Dell 1700 doesn't take up any more space than it needs, which makes it convenient for fitting on small computer desks. The Dell 1700 toner printer is also light enough that it makes a reasonably good option for those who need portability. Like other printers in this series, the Dell 1700 does tend to run a little hot, but this isn't a big issue unless you block the vents that are on the upper sides. As with all 17xx series printers, the great advantage to the Dell 1700 is price, and the 1700 is even cheaper than others in the series are. This printer is also far more substantial than you'd expect at this price range. The Dell 1700 is a workhorse, and it can take some abuse. Cartridge Save sell high-capacity Dell 1700 toner cartridges that really help to make this an excellent buy. Again, this is more cost-efficient than you'd expect at this range. The colour Dell 1700 toner cartridges are not quite as cost-efficient, but they're close. The big disadvantages with the Dell 1700 are the lack of support for Linux and Mac OS X and the lack of network-readiness. The Dell 1710 offers both of these things, so customers should carefully consider whether the savings are worth it. Consumers should note that you could still use basic drivers to use the printer with Linux or Mac OS X, but there is no additional software and there will be no technical support.